The Google Hummingbird update was rolled out on the 27th of September, 2013. The update, which really is an algorithm overhaul was introduced by Google as a commemoration of its 15 year anniversary. Hummingbird initially seemed like a slight change, and as is Google famously known to do, claimed it would appear only a small percentage of all searches. The update initially didn’t seem that drastic either, but as the results became apparent over the next few weeks, it became more and more obvious that the update in itself was actually quite a big change and had begun to affect websites worldwide. Several websites, portals and forums that didn’t see much traffic before were certainly ranking higher and at the same time there were several high ranking, well optimized websites which took a hit and lost most, if not all of their rankings as a direct result. 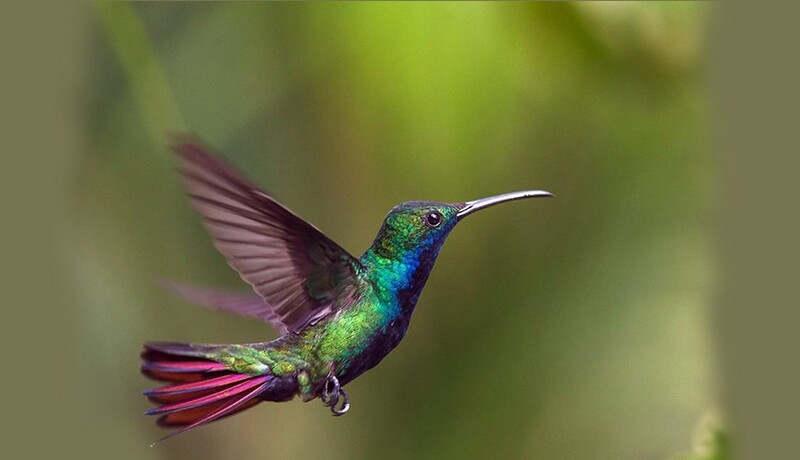 So we’ve compiled the top 3 important facts about Google Hummingbird that you should know! If your website has taken a hit as the result of Hummingbird, or if you’re just looking for information, this will certainly help. Fact: The algorithm in itself is designed for Google to understand questions and queries of users in the English language. So if your website is made in a language that is not English, you probably don’t’ have much to worry about considering that the algorithm in itself has not advanced to the point where it could identify users’ intent in other languages just yet. What this means: This means that even if you don’t need to worry just yet if your website is in another language, you should definitely be cautious and start preparations because the algorithm, even if it just affects English language searches for now will soon start porting over to other languages as well. We’ve already seen Google’s robust linguistic capabilities with its transliteration and translation features and with the constant development that goes on at Google Labs, it won’t be very long until the algorithm starts affecting other language searches as well. Fact: Searching for a question, or even a query that would be akin to asking a question in Google would earlier show up with results that would reflect the exact question that was being put in, however with the change in algorithm, Google looks for answers to the question being asked instead! What this means: What this essentially means is that webmasters should begin to analyze their websites for providing answers to queries instead of optimizing them for the questions that are being typed in. It’s fairly simple and complicated at the same time to understand. Easy because how difficult can getting answers can a query be, right? But complicated because you need to realize which answers would cater to the questions you want to optimize for. Sounds tricky? Sure does, a lot of trial and error seems to be the only way out of this dilemma for now! Fact: Essentially the base of all things SEO, Keyword optimization is going to slowly fade into obscurity with the direction Google is taking with Hummingbird, optimizing websites for your targeted keywords is just not going to work in the future. Search Engine spiders are becoming smarter and ranking algorithms are becoming more and more precise. What this means: What this signifies is the rise of intelligent Search Engine Optimization and the fall of repetitive, redundant SEO practices such as unnatural link building, keyword stuffing, spamming and so on and so forth. Putting your keyword in the anchor text of an incoming back link will eventually end up being a very small factor when it comes to real Search Engine Optimization efforts, the same goes for exact match keywords within content. Putting lots of keywords within your own content will not make it relevant. With the Hummingbird update making it possible for Search Engine robots to “read” your material, if only it makes sufficient sense shall it be deemed qualified enough to be ranked. After that, it’s a battle of quality, with higher quality resources ranking higher! So in essence, the Google Hummingbird update aims to improve the quality of Search Engine produced results for all questions and queries put in. For someone looking to optimize their website for this new algorithm, it is important to treat keywords as questions and provide answers for them. It is only with such an approach that this algorithm can we worked around, it’s like reinventing the wheel for SEOs worldwide, but we at GBIM believe that it’s for the greater good and hence look forward to it! We hope this article was helpful and informative, please leave your feedback in comments below!